Login to the Registar where your domain is currently hosted. Make sure the domain is unlocked at the current registrar. Request an Authorization Code (also known as an EPP or Transfer Key.) 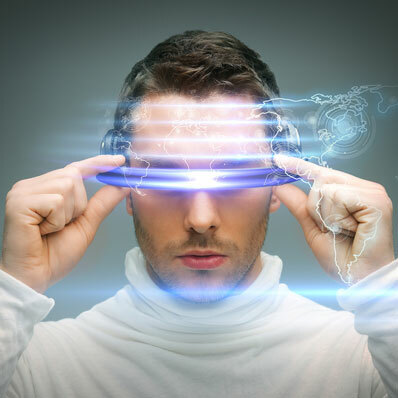 This is usually an email process for security purposes; only the owner can receive the Authorization Code. Check your email for the Authorization Code. The code is usually a string of random numbers and letters, like a password. 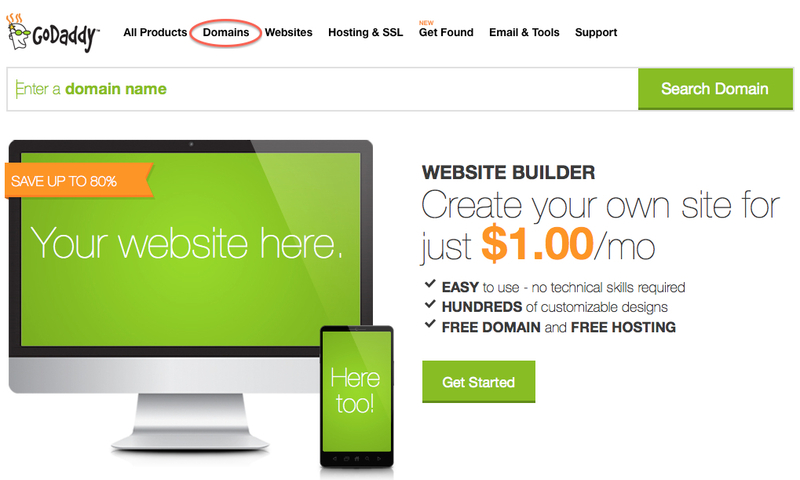 Copy the code from the email you received, and head over to GoDaddy.com and log in to your account. This s the account to which you want to transfer the domain. 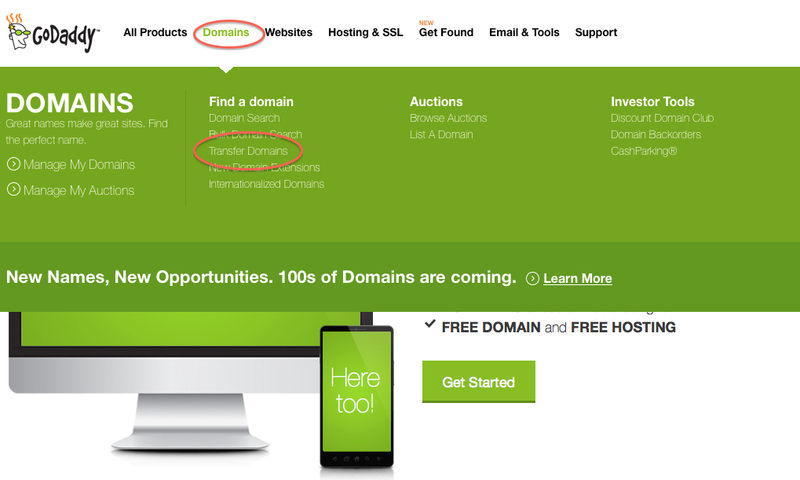 On the GoDaddy Control Panel, click "Domains" at the top of the screen. In the sub-menu under Domains, Click "Transfer Domains". 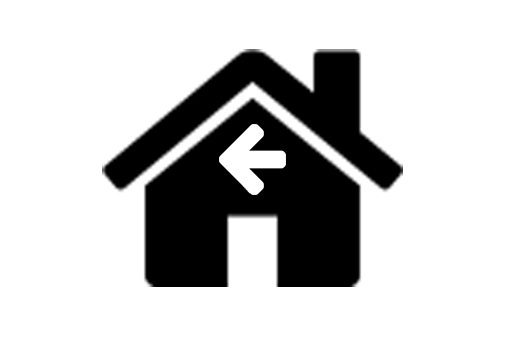 Enter the domain that you want to transfer in the domain name field and click "Go". Confirm the domain name in the section above the field and then click "Proceed to checkout". 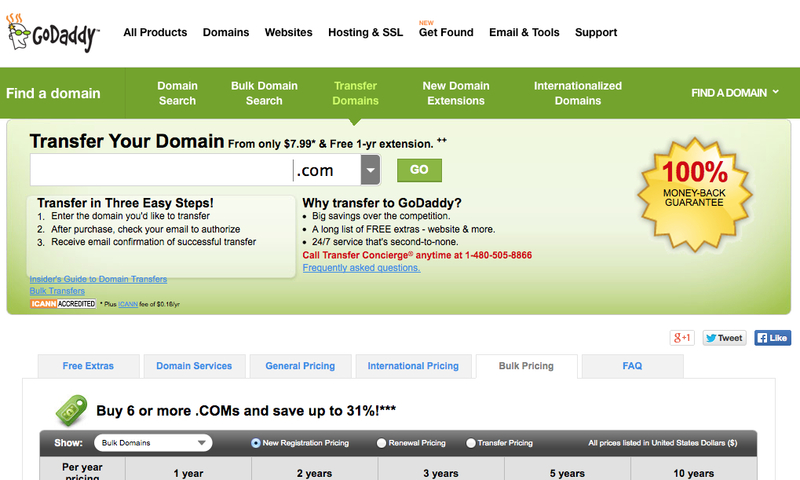 After some advertising and hosting choices, GoDaddy will ask you to pay for the domain transfer, and will request the Transfer Code. Enter the code when requested. Domain transfers usually require an email confirmation and will take a few days to complete. Check your email frequently and watch your account for the domain to appear. Complete this form and snowydancer will contact you regarding How To Transfer A Domain To GoDaddy.com.